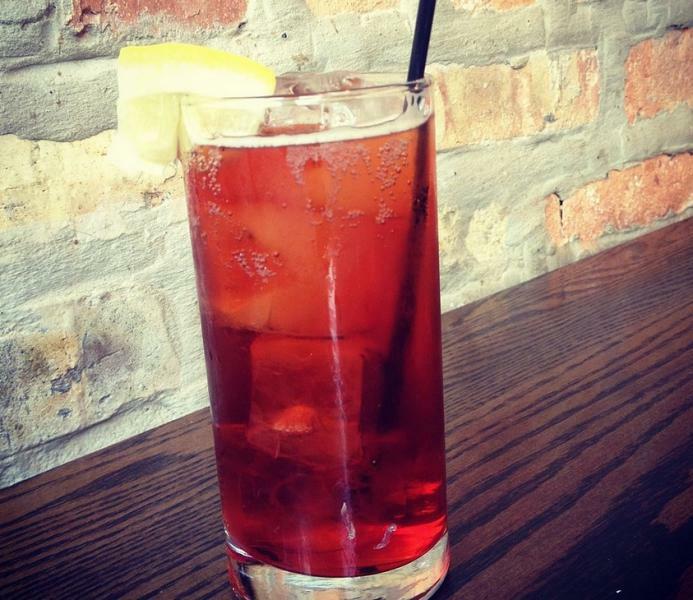 Campari, sweet vermouth and soda, and maybe a slice of lemon. A bittersweet cocktail popular since the 1860s, when it was first concocted at the Caffe Camparino in the Galleria Vittorio Emanuele II in Milan. Its original name, Milano-Torino referred to Campari (from Milan) and the vermouth (from Turin) but it became such a hit among Americans living in Italy to escape Prohibition that it became known as an 'americano'.